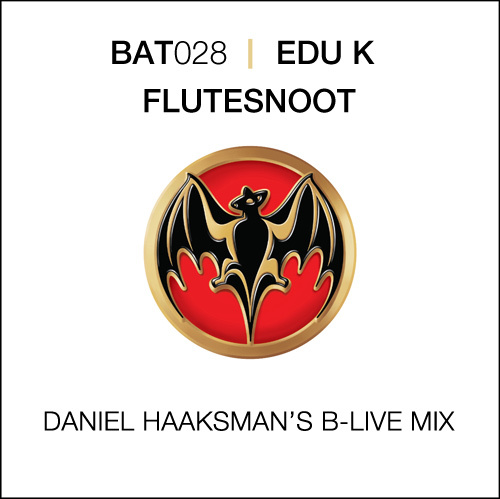 Edu K recently released a new track called Flutesnoot on Bacardi B-Live with several remixes including Brodinski’s minimal beats and Mixhell’s techno. Now Daniel Haaksman, head honcho of Berlin’s Man Recordings provides the final remix of Flutesnoot in this series. Another remix is done by Nautiluss – if might haven’t heard that name already cause it’s a new solo project by Graham Bertie , perhaps better known as Grahm Zilla – the production guru behind Thunderheist. This remix is the first publicly available track from Nautiluss.